Tyrus playing in 2011 (in front). Tyrus Chapman is best known for his work with Rebirth Brass Band in the 1990s and early 2000s. 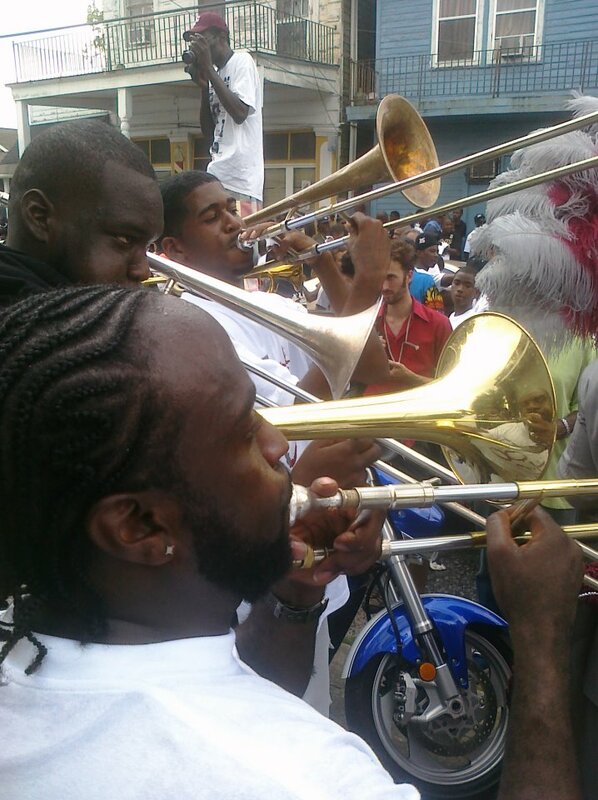 Tyrus played trombone in the John McDonogh High School band with Derrick Tabb before they joined Rebirth. An accomplished trombonist, Tyrus also incorporated his songwriting and singing abilities into the band’s albums We Come to Party (1997) and Hot Venom (2001). Since departing from Rebirth, Tyrus has played most regularly with the Hot 8. He has also had cameo appearances on HBO’s Treme, played on the series soundtrack, and worked with actor Wendell Pierce to teach him trombone. I’ll just sum it up what I submitted and say, I’m thoroughly enjoying your blog. writers? I’d really appreciate it. a blog website? The account aided me a acceptable deal. per week. I opted in for your Feed as well. Also I believe that mesothelioma is a uncommon form of cancers that is often found in these previously subjected to asbestos. Cancerous cellular material form inside the mesothelium, which is a protective lining which covers the majority of the body’s body organs. These cells typically form inside the lining from the lungs, abdominal area, or the sac that really encircles one’s heart. Thanks for discussing your ideas.